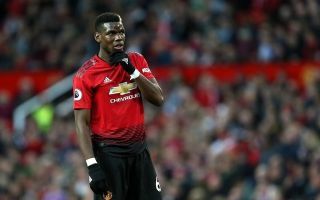 Manchester United star Paul Pogba has reportedly decided he has his heart set on a transfer back to his former club Juventus. The France international is unconvinced by the project at Real Madrid, another of his suitors, and is leaning towards Juve after he felt Barcelona’s president Josep Bartomeu signalled he would not be pushing hard to sign him, according to Diario Gol. Pogba has struggled to hit top form at United, but remains regarded as one of the finest players in the world in his position. The 25-year-old was particularly exciting to watch during his Juventus days, and showed glimpses of that old form again this summer as he inspired France to a World Cup final win in Russia. Diario Gol now claim Pogba is eager to play alongside Cristiano Ronaldo in Turin, with the player still eager to leave United. Paul Pogba back to Juventus? In truth, MUFC fans may not feel too negatively about this as Pogba has rarely looked that effective for them, while the Independent suggest Jose Mourinho would look to sign Sergej Milinkovic-Savic as his replacement. Conveniently, Mourinho was present as the 23-year-old produced a moment of magic last night for Serbia, according to the Daily Mirror.